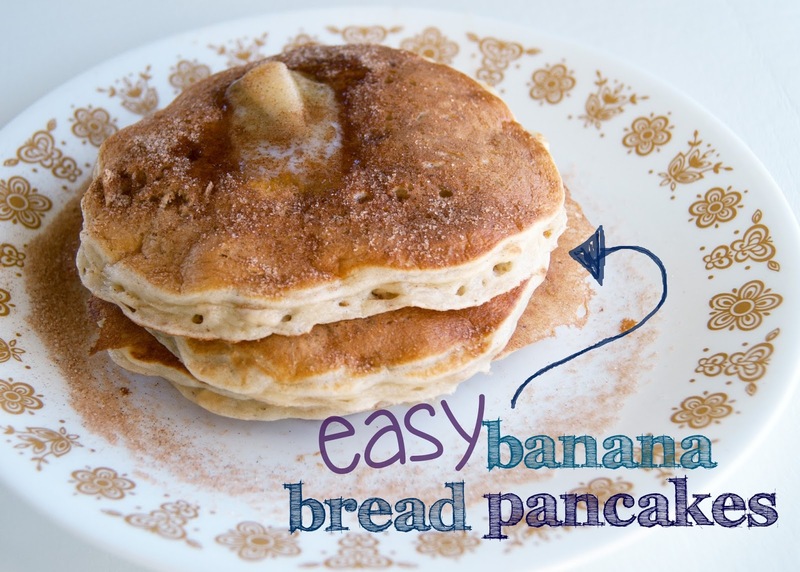 Easy Banana Bread Pancakes - Guest Post at A Girl & A Glue Gun! | Averie Lane: Easy Banana Bread Pancakes - Guest Post at A Girl & A Glue Gun! Easy Banana Bread Pancakes - Guest Post at A Girl & A Glue Gun! Come on over and learn how to make the EASIEST pancakes EVER!! Seriously, you probably already have everything you need to make these right now!!! Don't deprive your children or your husband or yourself of these... its seriously like banana bread for breakfast!